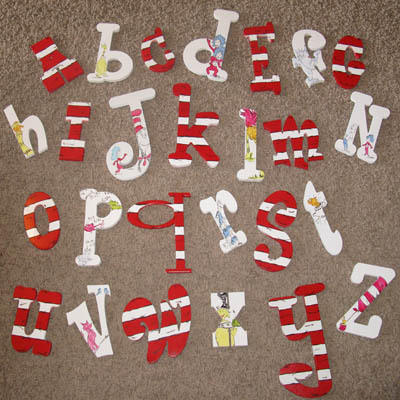 This set includes the entire alphabet A-Z in a whimsical mixture of different sizes and font letters. Every other letter is painted in Seuss Characters and alternate letters are painted in Cat in the Hat stripes. Sizes will include 7"-12" letters.